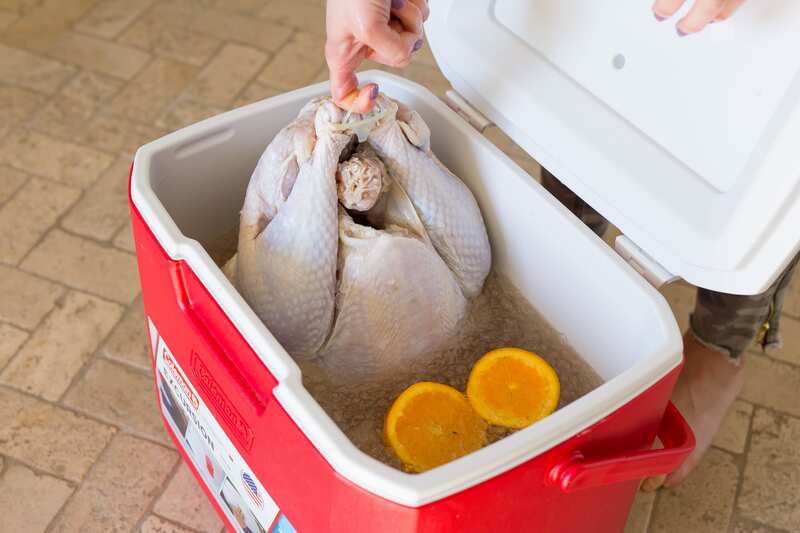 Turkey in Brine Solution in a Cooler. 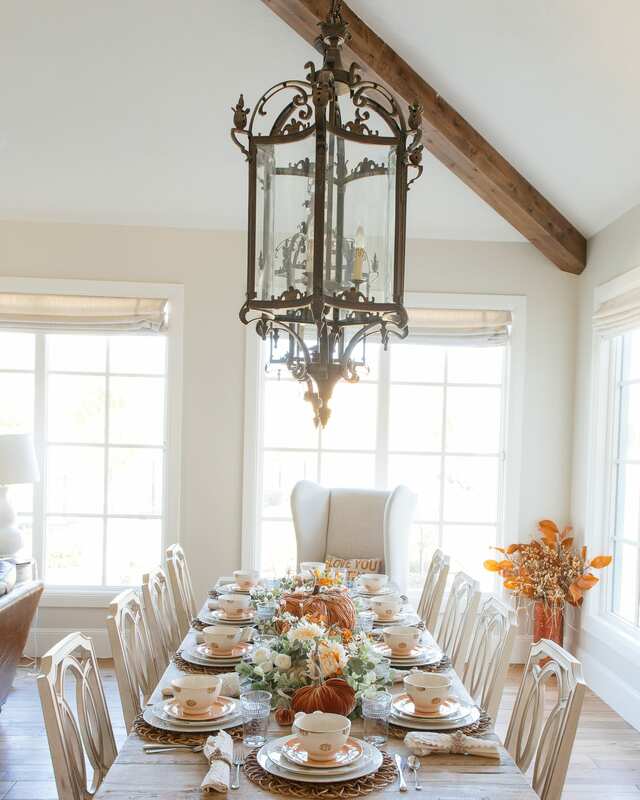 The turkey needs to reach 165 degrees to be fully cooked and safe to eat. Insert the thermometer into the deepest part of the breast to get an accurate reading. 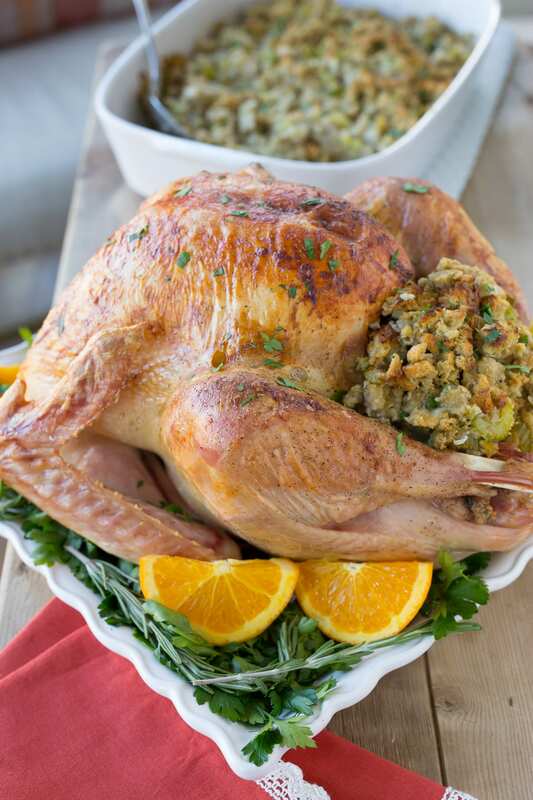 If you’re stuffing the turkey, make sure the stuffing inside the turkey also reaches 165 degrees to avoid food poisoning. The last thing anyone wants is to make their guests sick! Combine all ingredients in a large pot. Stir until salt and sugar dissolve. Bring to a boil, then turn off the heat and allow to cool for 2 hours. 2. Wash the turkey with cold water and remove giblets and neck. (Save the neck to be used in making the homemade turkey stock for gravy and stuffing). 3. 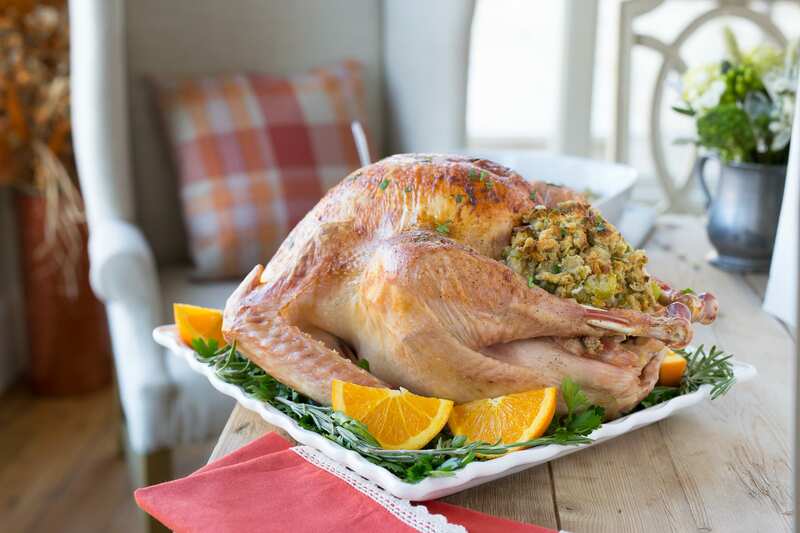 Place uncooked turkey in a large bucket or cooler and and cover with the brine, then refrigerate for 18 to 24 hours. The turkey should be mostly thawed or fresh. 4. If you use a cooler, add a large amount of ice to keep water cold and set cooler in a cool place like a garage or outside. Make sure to close the lid. If using a bucket, keep in the refrigerator or cold garage. Add some ice to keep it cold and keep covered. 5. 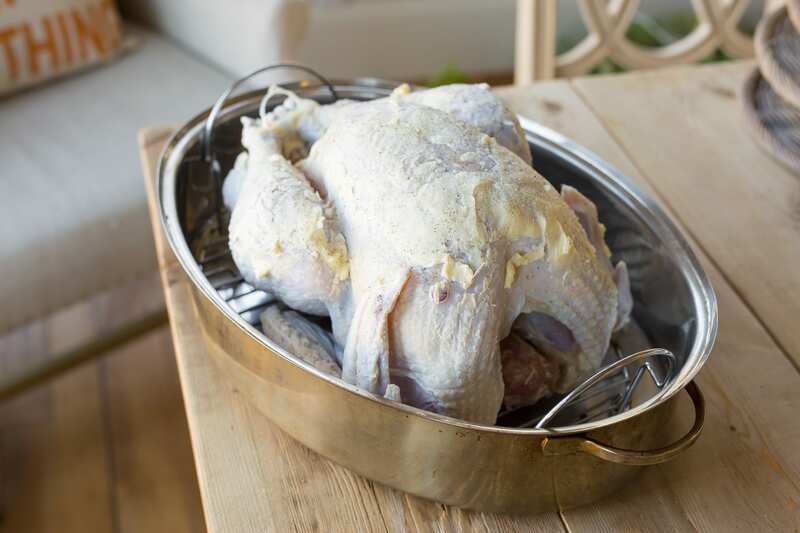 When turkey is done brining, remove and wash well with cold water. Pat dry, then rub the butter all over the turkey and season with salt and pepper to your taste. 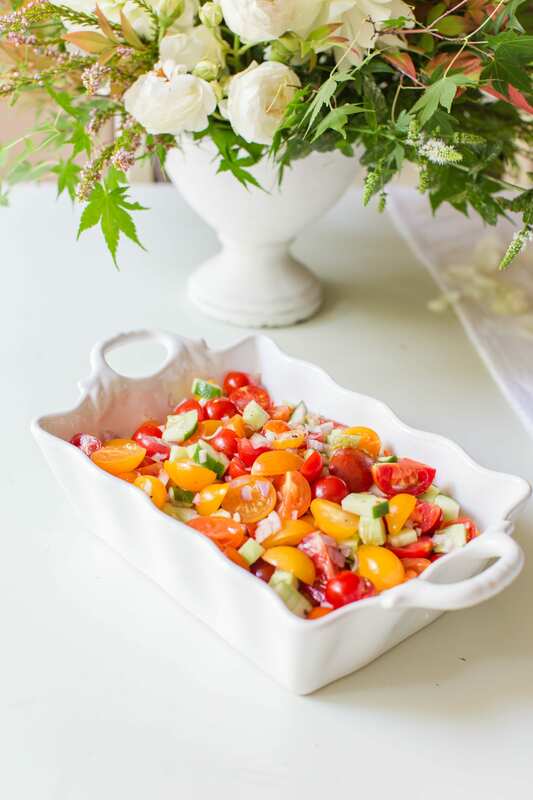 You can add other seasonings and herbs according to your taste. 6. 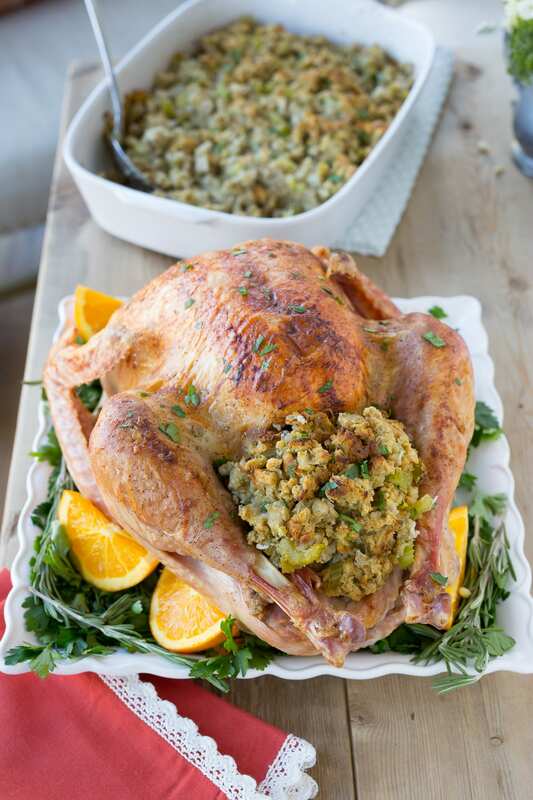 Bake at 325 degrees uncovered in a roasting pan until the middle part of the turkey breast reaches 165 degrees. 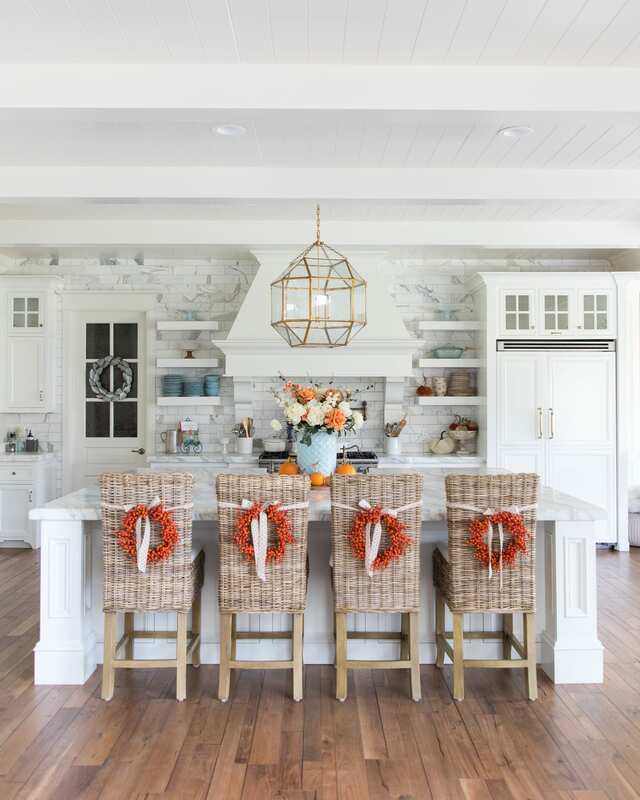 The turkey packaging will usually tell you approximately how many minutes per pound you should cook the turkey but using a thermometer will keep the turkey from being undercooked or over cooked. 7. When turkey has reached the correct temperature, remove from the oven and allow to rest for 15-20 minutes before carving. 8. I used a 15 pound turkey for this recipe but it should work for any size. Just be sure that the whole turkey is sub-merged. You may have to add a little more water.